The testimony of St. Padre Pio on the power of Mary and Her Rosary. In the life and witness of St. Padre Pio, we have an almost infallible proof that the Rosary is the sure, safe and easy way to sanctity, an unfailing way for us all to arrive at it quickly and irreversibly. If we wish to become Saints, we should develop the habit of praying many Rosaries every day. What do you all think? 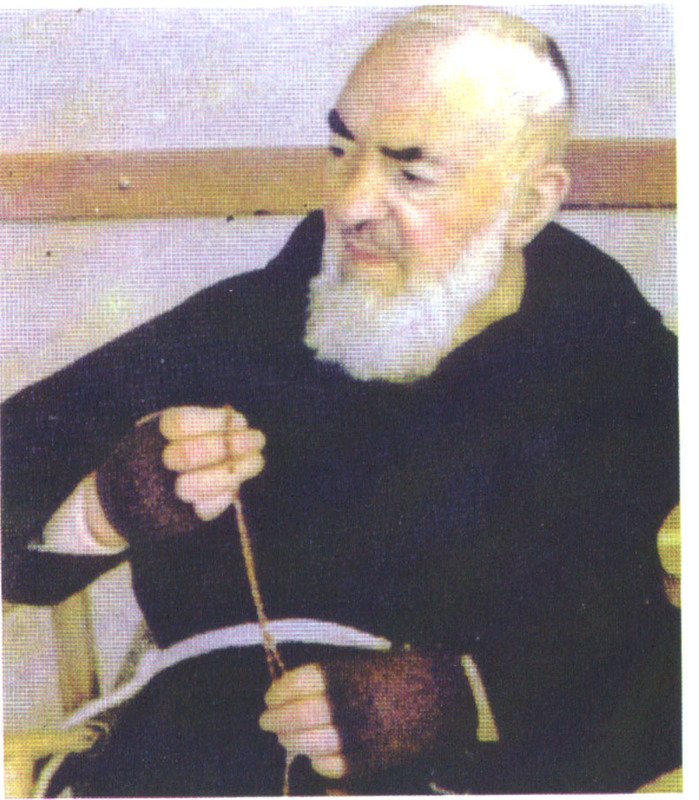 Padre Pio used to carry permanently a Rosary in his hands and would pray it many times a day. To father Onorato Marcucci, grabbing the Rosary that he had put few seconds on the nightstand: "With this, one wins the battles." "because he didn't want to leave the rosary beads, and passed the Rosary from one hand to the other." To Lucia Merlinda: "After the Glory, say: Jesus, I love you, and I repent for offending You." About the repetitiveness of the Rosary: "Pay attention to the mysteries. They change at every decade." To Enedina Mori: "When you get tired reciting the Rosary, rest a bit, and then restart again." February 6, 1954 9:00 PM, to father Carmelo: "I still have 2 rosaries to pray today. I said only 34 so far. Then I will go to bed." Answering to father Michelangelo: "Today I said 32 or 33 rosaries. Maybe 1 or 2 more." Answering to father Mariano: "About 30. Maybe some more, but not less." 'How do you do it? "What is the night for?" Answering a question: "Some days I say 40 Rosaries, some other days 50." How do I do it? "How do you manage not so say any?" To Lucia Pennelli one morning around 7:00 AM after Mass: "How many rosaries did you say so far today?" 'Two". "I already said seven." To Lucietta Pennelli, one day at about noon: "Today I have already said 16 complete Rosaries." Padre Pio goes on with his rosary while observing something. "Pray the rosary frequently. It costs so little, and it's worth so much!" "We can't live without the Rosary." "Say the rosary, and pray it every day." "The Rosary is the weapon of defense and salvation." "The Rosary is the weapon given us by Mary to use against the tricks of the infernal enemy." 'Mary has recommended the Rosary at Lourdes and Fatima because of it's exceptional value for us and our times." "The rosary is the prayer of the Madonna, the one that triumphs on everything and everybody." "Always recite the rosary and recite it as often as possible." "Mary is present in every mystery of the rosary." "Satan always tries to destroy the rosary, but he will never succeed." "Mary has taught us the rosary just as Jesus taught us the Our Father". "I always pray for the sick. Every day I say a holy Rosary for them." Re: The testimony of St. Padre Pio on the power of Mary and Her Rosary. For those interested, there is Telephone rosary conference call, daily at 7:00 PST, we pray the entire 15 decades, however many callers hang up after the first 5 decades, usually because of the time differences or daily duties. Some callers check in later and catch the last 10 decades. Since the rosary is live and not recorded we suffer many distractions and interferences, patience is needed. Yet, there have been many favors granted. Our Lady's way of teaching us to put up with each other on the telephone. lol! Telephone is much better than Internet. Telephone is real time, Internet is virtually real time. 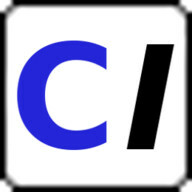 I know a group that tried to have a group Rosary via Internet with one person leading and several people answering together (in unison) but the Internet changes the time or phase of the sound so the answering group was just making noise -- words were unintelligible, with each voice offset by various lag times of up to two seconds. They had to abandon that plan and go with taking turns, one person leads and another person answers, then another person takes a shift so everyone can have their turn. We have the same problem; therefore on the phone, one person leads and another person answers, then another person takes a turn, everyone who wants to speak can, some prefer to just listen and pray silently by putting the phone on mute, speaker on and the entire family joins in silently to us, but to them they are still praying with us. I will say this to anyone who comes into the group. We have three different people hosting one person in Florida she is with Bishop Sanborn, another who is totally blind and a double amputee (legs) therefore he does everything from memory, and the last person has a memory, and focus problem but it was his idea so he wants to still host a couple of times a week. P A T I E N C E, if you have it! This is wonderful. If we all resolve to pray the Rosary as many times as we reasonably can daily, we should all become Saints soon! Bp. Williamson has been asking all the Traditional Catholic Faithful to pray 15 Decades of the Rosary at least every day for a long time. This is a wonderful initiative by telephone. Similarly, in the family, in our chapels, or parishes, or communities, or anywhere else, or finally, as private individuals, in our personal prayer time, we should multiply the Rosaries we offer to Our Lady as sacrifices. It is in this way that the Triumph of the Immaculate Heart will come, and come quickly. God bless you, Myrna. Let's try to go even beyond 15 decades or 3 Rosaries if at all possible. Let's aim for 6 or 12 or even more as St. Pio teaches us. If holy St. Pio with all his other responsibilities and in the midst of immense sufferings can pray dozens daily, we should try to do the same. Our Lady has often requested the Rosary, daily, frequently, with great urgency, with holy zeal, with readiness to suffer and sacrifice. "Pray and offer sacrifices through me. Pray always; pray the Rosary. Make all your entreaties to the Father through my Immaculate Heart. If they are conducive to His honor, He will grant them. In your prayers ask Him not for things of temporal worth, but implore graces for individual souls, for the community; for the nations, so that all may come to love and honor the Divine Heart. Keep the Saturdays, which have been dedicated to me, as I have requested."